The Mazda3 is the quintessential sedan. Built to deliver stunning performance and refined handling, the Mazda3 is characterized by both style and function. Its design is at the forefront of innovation. Seamlessly blending both aggression and balance, it captures the essence of energy, and poise. It redefining the driving experience through the use of advanced performance technology and delivers unmatched driving dynamics and impressive fuel economy. Incorporating technology to help move you forward, the Mazda3 has forward-thinking gadgets to keep you connected and secure on the road. With the both active and passive safety innovations, you’ll have peace of mind to let you concentrate on driving. In the interior of the Mazda3, you’ll find masterfully crafted materials and intelligent instruments designed for convenience. Everything is placed with intention and care to make the driving experience intuitive. Leasing a vehicle has obvious benefits. Not only does it allow you to get into a new vehicle with less commitment, it also, in general, lets you have lower payments than you would if you would buy. It gives you the versatility of choice, but without the associated commitment to driving a new vehicle off the lot. Plus, average lease terms are much less than the amount of time you would own a new vehicle before trading it in, allowing you to stay up to date in the automotive market, but without having to worry about your vehicle's trade in value. Interested in Leasing a New Mazda3? The 2018 Mazda3 has three trim levels - the Sport, the Touring, and the Grand Touring. In the 2018 Mazda3, you’ll get to choose between a SKYACTIV®-G 155-hp, 2.0L DOHC 16-valve 4-cylinder engine with variable valve timing or a SKYACTIV®-G 184-hp, 2.5L DOHC 16-valve 4-cylinder engine with variable valve timing. The 2018 Mazda3 offers the availability of i-ACTIVSENSE® safety innovations as well as advanced standard passive safety features. The 2018 Mazda3 offers masterfully crafted interior fabrics and materials paired with a driver-centered design. 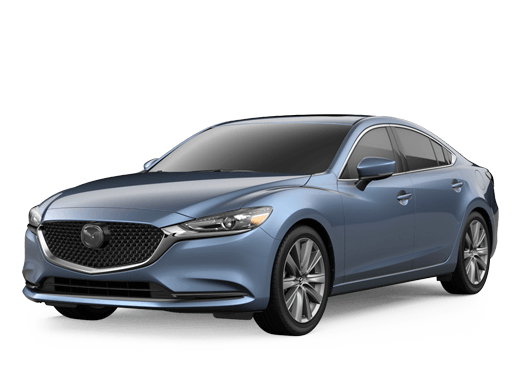 Standard features on this model include 16-inch steel wheels with full covers, MAZDA CONNECT™ infotainment system, rearview camera, and more! The 2018 Mazda3 can achieve up to a 27 city/36 highway mpg*.